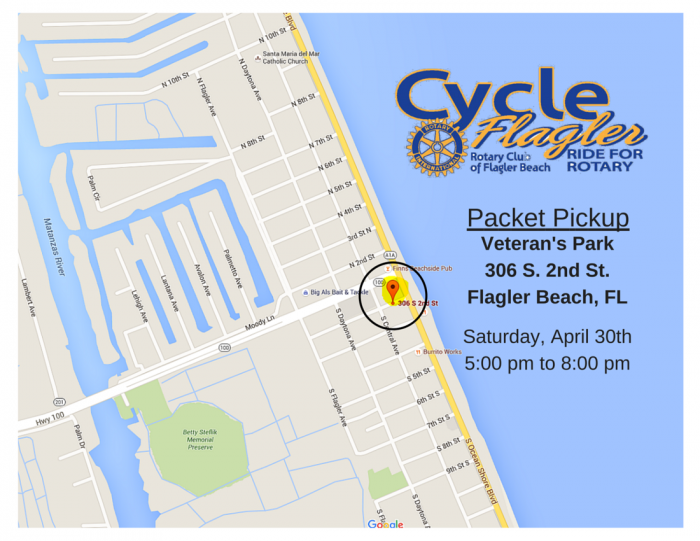 The Rotary Club of Flagler Beach is, once again, hosting Cycle Flagler! 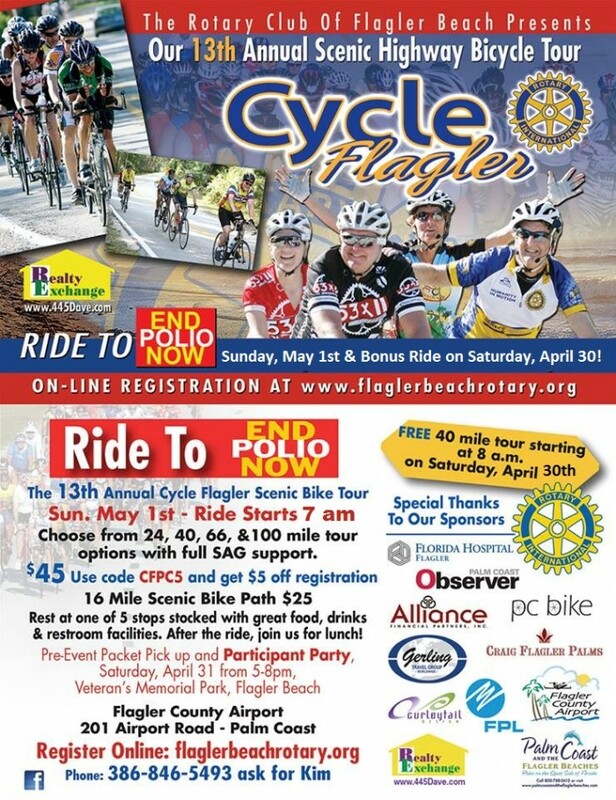 Come join us and enjoy all the beauty of cruising along the Atlantic Ocean up to 40 miles on part of the A1A Scenic Byway in beautiful Flagler County. 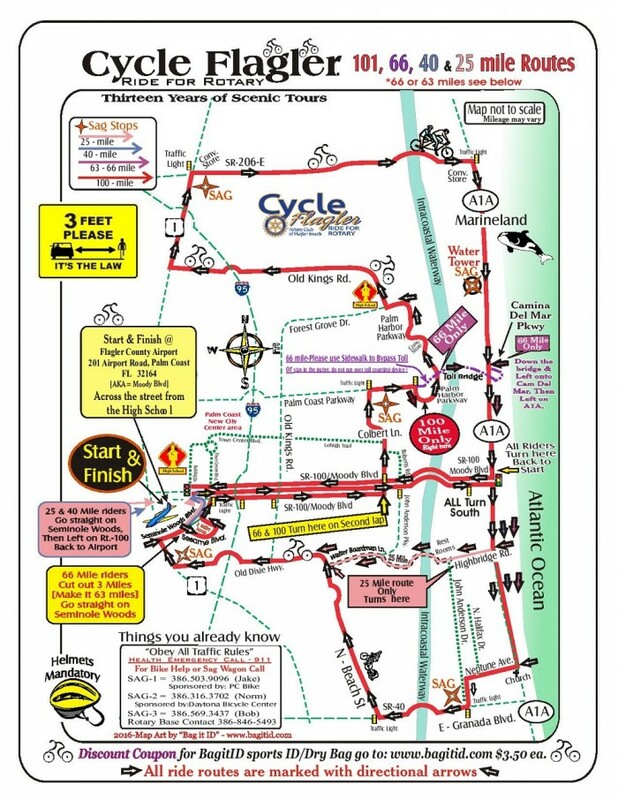 This cyclist favorite event supports you with SAG stops and monitored ride options of 24, 40, 66 or 100 miles. Register early to receive an event tee shirt (for the first 400 registered participants) and enjoy an old-fashioned picnic immediately following your tour! 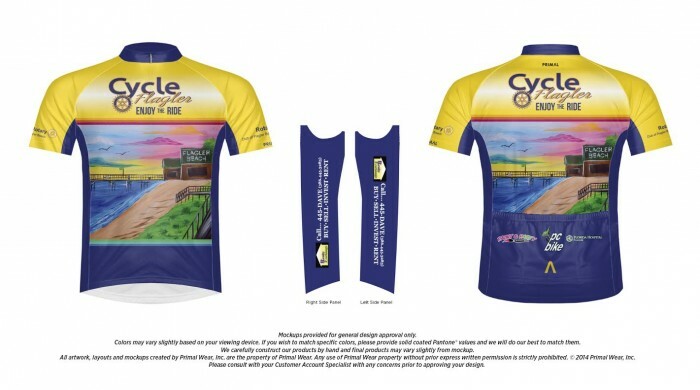 Order Your Official Cycle Flagler Jersey Today! 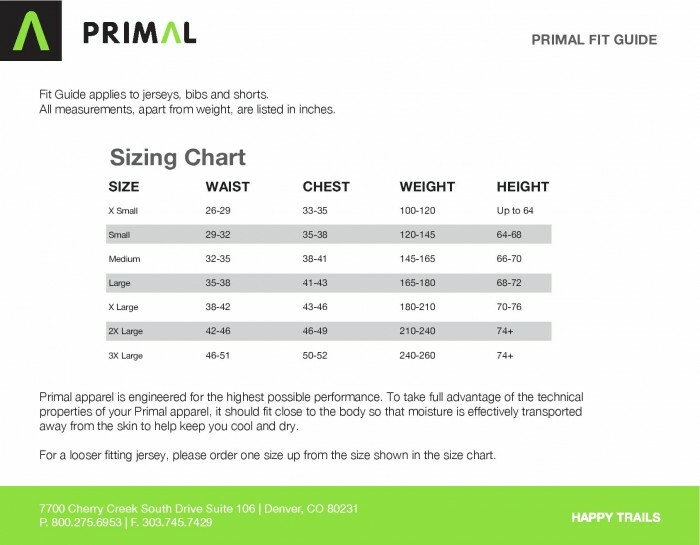 Limited quantities per size will be available for delivery at the event. All Jersey Sales Final. No Refunds.